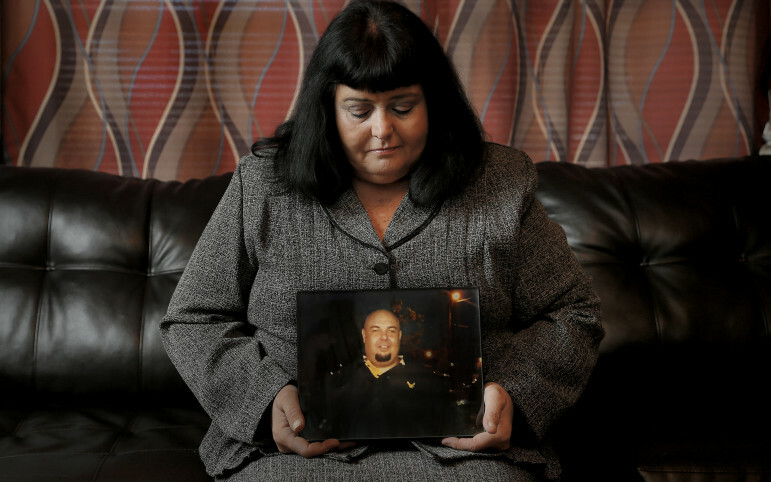 Michelle Casson of Del City holds a photo of her son Sashawn Saatian, who died from a drug overdose last year. SaShawn Saatian died alone of an overdose in a cheap west Oklahoma City motel room after he tried unsuccessfully to summon paramedics. “My son dialed 911 three times, twice from the phone in the room and once from a cellphone,” said his mother, Michelle Casson of Del City. Saatian, of Oklahoma City, died Aug. 8, 2013, one day after his doctor, William Martin Valuck, prescribed him 240 pills. He was 32. The way her son died still haunts Casson, but it’s motivated her as well. Casson, 53, said her son struggled with drug addiction his entire adult life. While Valuck, who pleaded guilty to eight counts of second-degree murder, is behind bars for the next eight years, Casson said she thinks others should have to answer for the prescription drug overdose deaths of so many Oklahomans, including her son’s. Casson called for laws that would require certain agencies – including the pharmacy board, medical boards and medical examiner – to be more proactive in preventing overdose deaths. Casson has even considered taking her activism to another level by picketing Vista Medical Center. “If somebody would’ve just done their job right, my son might still be alive,” she said. Carie Marie Simmons, of Lexington, died at age 27 of a prescription drug overdose.